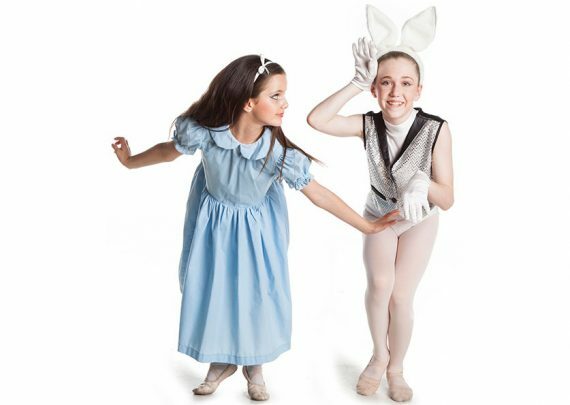 Brighton Dance Academy (BDA) is one of the most prominent dance schools in Melbourne, catering for all ages. Students who learn dance at BDA receive training from professional teachers who encourage students from beginners to advanced level dancers. Recreational dancers also have the opportunity to enjoy dance in unique classes designed just for them. BDA students have gone on to train at the likes of the Australian Ballet School, Victorian College of the Arts Secondary School, Laine Theatre Arts in the UK and the Australian Conservatoire of Ballet. Website photography care of Belinda Strodder. Natasha was a student at Brighton Dance Academy from a young age, which fostered her love and passion for dance throughout her life. 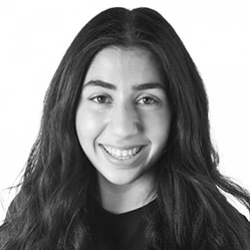 Natasha has been a member of staff since 2009 teaching Ballet, Jazz, Contemporary, Acrobatics and Conditioning, working as the Administrative Assistant since 2010, and has been Dance Director since 2017. 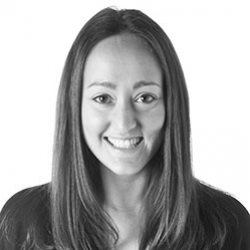 Natasha enjoys being a part of both the creative and administrative team. With her Bachelor of Health Science and Masters of Occupational Therapy, Natasha works as a Paediatric Occupational Therapist alongside her position at BDA. Natasha gained her Jazz teaching certificate through Southern Federation of Dance, is a qualified Gymnastics coach and judge, and has also attended the Royal Academy of Dance training program for Pre-Primary - Grade 3 Ballet. Natasha brings her knowledge of dance, gymnastics and Occupational Therapy to her classes at BDA and teaches with high energy and enthusiasm. She loves watching her students grow and develop into young adults and beautiful dancers. Eloise joined BDA in 2016 after moving to Australia from the UK in 2014. Eloise started dancing when she was 6 years old and went to vocational school at the age of 10. Eloise has trained professionally in a range of dance styles and toured the UK and Germany as part of a performance company. Eloise has taught in the UK and the UAE as well as completing a Post Graduate Diploma in Community Dance at the prestigious Trinity Laban Conservatoire in London. 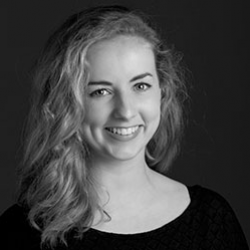 Eloise is currently studying a Masters in Education (Dance Teaching) with the Royal Academy of Dance. 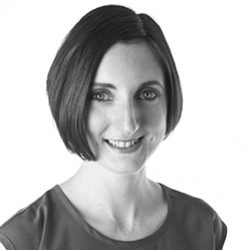 Bridget Sheahan commenced dancing at Brighton Dance Academy in 1998, at the age of three. She has continued to dance and teach at the school ever since, evidenced by her receipt of a 15 year award for commitment to the school in 2013. Her dedication to the school has also been demonstrated through the receipt of the Dance Award in 2008 for “attitude, enthusiasm, willingness to try new things and 100% effort in all classes”. During her time at BDA, Bridget studied Ballet, Jazz, Jazz & Song, Contemporary and Hip Hop. It was here that she developed her love for dance, and she continues to partake in classes at the school. She has completed her SFD Grade Examinations (Up to Level 8), and trained in Level 9. In 2010, she was made an Assistant Teacher at BDA, a position she adored. Bridget became a Teacher in 2015 and has loved every second of it. While she loves teaching children of all ages, she particularly enjoys teaching the young students – their imagination never ceases to amaze her! Bridget has a real passion for teaching and inspiring the next generation of dancers and she loves teaching the talented students at BDA. Originally from England, Rachael graduated from the Bachelor of Arts (Honours) in Ballet Education degree program and the Licentiate of the Royal Academy of Dance at the Academy’s headquarters in London, England. Whilst studying here, Rachael had the opportunity to work as an assistant alongside world-renowned Royal Academy of Dance Examiners and Teachers as part of the Dance School. Rachael has gone on to teach throughout the UK, Canada, America and now Australia, successfully preparing hundreds of students, both children and adults, for RAD examinations as well as training dancers for full time vocational schools, youth companies and associate programs. 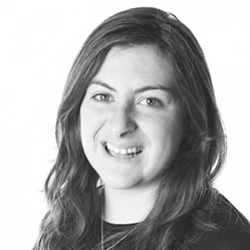 Rachael specialises in teaching the vocational levels and teaching adults. 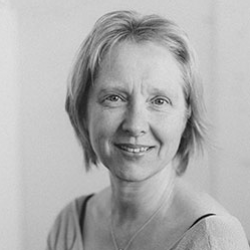 Choreography, especially for large events, makes up a significant part of Rachael’s work and she has had the privilege of working with a live orchestra for both the 2011 and 2012 Proms in the Meadow. Rachael has also choreographed for festivals and eisteddfods, charity events and more recently full length classical productions as Ballet Mistress for a Canadian youth company. 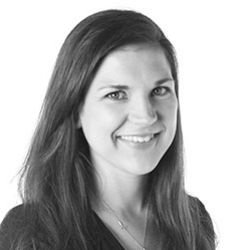 Having sustained a serious injury, Rachael has since developed a passion for Dance Science and now also teaches practical based Anatomy and Physiology classes to her students. Rachael is a qualified Mat and Reformer Pilates instructor as well as a qualified teacher of the Progressing Ballet Technique program. Rachael regularly attends courses with Lisa Howell, The Australian Ballet and IADMS, strongly believing that as teachers, our responsibility is to prepare dancers not just for the current season but for a life time of dance. 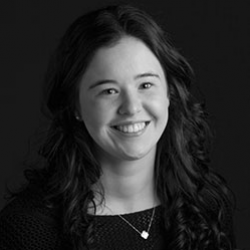 Rachael has been a member of the RAD Victorian Tasmanian panel since 2015. In June 2018 Rachael was appointed to the Panel of RAD Examiners, examining throughout Australia and internationally. Courtney began dancing at BDA in 2011 where she developed her love and passion for dance and performance. In 2013 she began as an assistant teacher for Natasha Abrahams and went on to assist Jess Daniel. She has studied ballet, jazz, contemporary, hip hop and acrobatics at BDA and has represented the school in many of these styles. Courtney has been a competition soloist and troupe member for many years and was the recipient of the Southern Federation Dance Olivia Steadman Scholarship in 2015 for her solo performances. She has completed the highest SFD jazz exams and RAD graded ballet exams with distinction while also completing vocational ballet exams. In 2016 Courtney attained her SFD jazz teaching certificate and also completed teacher training with The Acrobatic Dance Association. Courtney hopes to combine her university studies with her dance training to run a dance therapy program in the future. Courtney adores teaching a range of styles at BDA and aspires to pass on a love and appreciation of dance to all of her students. Originally from New Zealand Laura studied at Deborah Hale Musical Theatre for many years doing the NZAMD syllabus in Jazz, Tap, Hip Hop and Contemporary as well as RAD Ballet and musical theatre. She moved to Melbourne in 2006, where she studied and graduated from Dance World Studio’s with a Diploma in Performing Arts. After graduating Laura worked for Princess Cruises, traveling the world and performing aboard the Crown Princess and Grand Princess ships. Now working as a teacher/choreographer takes her all over Melbourne and Australia. Working for various dance schools and companies including BDA, Australian Arts Alive, Girls from Oz, Kinder ballet and the Australian Girls Choir. Laura has always loved teaching and she is passionate about helping each student become the best dancer they can be no matter what the style of dance. She continues to take class, go to workshops and is constantly working to become a better teacher and choreographer so she can pass all the years of knowledge on to her students. Brad has been training in dance art forms since he was a child, studying Jazz, Tap, Hip Hop, Ballet and Lyrical. Eventually moving to Melbourne where he continued his training at PSA, Hip Hop Crews (Beatphonik, Sole symphony) and Burn City Waack, For the last 7 years he has focused his training in more street and club styles such as Hip Hop, Waacking, Voguing & House. He has worked professionally overseas in Singapore, Malaysia, L.A and Japan and has been teaching children to adults for the last 10 years at many different schools around Australia. Brad believes dance is for everyone, you just have to unlock that passion inside that connects you to the music, and the rest is just training hard. Inspired by different dance cultures, his aim is to share his knowledge, educate and inspire others. Miss Anka Ditmann’s extensive dance background includes Classical Ballet, Contemporary, Folk, Yamen and Flamenco. Anka started dancing at the late age of twelve. She studied with the best teachers from Europe and the U.S. and danced with different dance companies in Israel. Her qualifications include the Royal Academy of Dance Teaching Diploma and a Pilates instructing diploma. She started teaching at the age of 16 and worked with hundreds of students preparing for RAD exams, VCE exams, competitions, concerts, auditions and TV shows, having previously run her own dance studios. She has been teaching ballet (RAD and Vaganova) and contemporary (Graham) to all levels, from Pre-schooler to pre-professionals over more than 30 years. 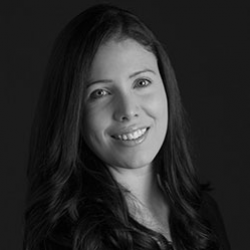 Anka is very passionate about teaching and studied education at Tel-Aviv University. Anka approaches ballet teaching in a holistic and integrated way and always looking to further her knowledge of Ballet, education, psychology, and anatomy. Kiria started her formal music training at a young age by learning piano for seven years. She completed up to Grade 5 AMEB piano exams as well as completing Grade 3 music theory exam. She has always been part of a choir, from Australian Girls Choir, to being in all the available school and university choirs. When she was fifteen she decided to focus on singing, and then went on to complete VCE Music Performance specialising in contemporary voice. 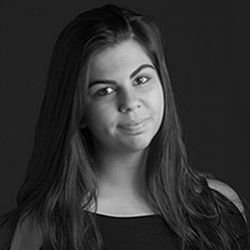 Kiria has been in amateur musical theatre productions every year for the past seven years and has enjoyed playing characters such as Cinderella’s Mother in ‘Into The Woods’, to one of the Boylan sisters in ‘Annie’. She loves being able to give back to the community through community theatre, which she has done for the past three years where she has had starring roles. She has taught singing for the past year and has loved having the opportunity to help young voices gain their full potential. She is currently studying an undergraduate degree of Arts at The University of Melbourne and hopes to further her music education alongside her degree. Dyanna began dancing at BDA at 3 years old and has grown up within our walls. She has transitioned from a student through to teacher and now also works in the office as the administration assistant. She has trained in a variety of styles during her time at BDA and specializes in jazz and hip hop. In 2015 Dyanna completed the Sothern Federation of Dance teaching course and loves teaching the jazz syllabus to many of the students at BDA. She enjoys the community environment that BDA encompasses and wishes to be involved with the school for years to come. Susan’s dance teaching training was at the Royal Academy of Dance in London graduating with the College Graduation Certificate and Diploma for Licentiate. An experienced teacher of 35 years teaching classical ballet to all levels from the very young beginner in the RAD Grades levels to the dedicated male and female students at the Vocational levels. 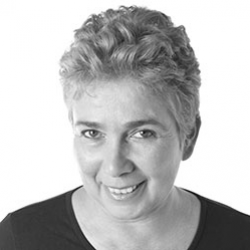 Susan is a former RAD Children Examiner examining in Australia and internationally. In 2006 she was appointed as a RAD Faculty of Education Classical Ballet Teaching Studies CBTS tutor – Practical Teaching Supervisor and at the same time a Freelance Faculty member class teacher of RAD student courses. 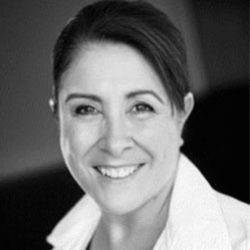 Susan freelance teaches in Melbourne Victoria and nationally and is a qualified Pilates Mat Instructor specializing in the strength training of ballet technique through the Pilates method for young dancers. 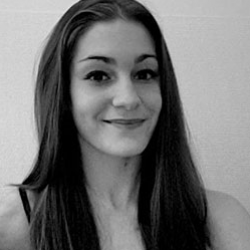 Anna has been a member of staff at BDA since 2009, specialising in ballet and contemporary techniques as a dancer and teacher. After performing in contemporary dance shows, Anna became involved in choreography. Anna has danced, directed and and choreographed in a range of styles for events such as Melbourne Fringe Festival and musical theatre productions. In class, Anna likes to challenge students to join their technique with artistry and encourages each student to find meaning in movement. Anna motivates students to strive for their dance goals, in class, exams and competitions. Anna has completed RAD teaching courses in the new ballet syllabus and is a published author, board director of Star of the Sea College and holds a Masters in International Development, Bachelor of Arts (M&C/Philosophy) and Diploma of Languages. Liz studied classical ballet at The McDonald College of Performing Arts in Sydney. At the age of 16 she furthered her training to Switzerland with the Ballettschule Theater Basel, under the guidance of Amanda Bennett, Director of the Prix de Lausanne. Liz found offerings to dance in New York, Vienna, The Netherlands, Germany, and Australia. She has performed widely around Europe and most recently performed as an artist with the Vienna State Opera. Liz has completed all grades of RAD with Distinction and found her passion for teaching after having worked with world renowned dancers and choreographers. Liz has enjoyed over 4 years of a professional ballet career, and 2 years of classical ballet teaching and coaching experience. Liz is very excited to begin her teaching at Brighton Dance Academy and share her dance knowledge with the BDA ballet and dance students. Elizabeth studied dance at Patrick Studios Australia, graduating with certificates 3 and 4 in dance performance. She has performed at various corporate events throughout Australia and overseas, working in children’s entertainment in particular. Elizabeth is a member of Move Dance Productions and works as both a dancer and a choreographer, raising awareness of a variety of social and human rights issues through creating contemporary dance works. 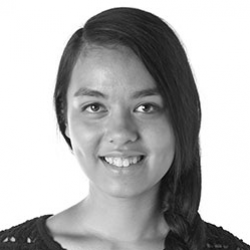 Elizabeth is currently studying a Bachelor of Primary Education at Australian Catholic University. In 2015 she received the Executive Dean’s Commendation for her academic achievements. Elizabeth is passionate about studying child psychology and sociology in regards to education and using this knowledge to shape her dance classes. 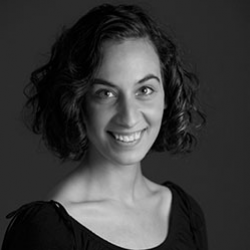 Elizabeth is particularly passionate about teaching both contemporary dance and competition classes. She enjoys the opportunity these classes give her to explore new choreography. Choreography has been a love of hers from a young age, a love that was fostered at BDA while she was a student at the studio. Elizabeth also teaches jazz, hip-hop, conditioning and kinder ballet. 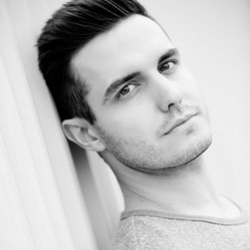 Joseph has had an extensive dance career starting from his early years in New Zealand where he was a part of both Boyzdance2 and Pointy Dog youth dance companies, training in many styles of dance before moving to Australia to further his studies. With a strong focus on technique and performance, Joseph began his professional career dancing at Tokyo Disney and training around the globe before getting his start in theatre in Australia. Joseph toured Asia and Australia for many years with WICKED the musical and recently was in the original Australian cast of Aladdin, later becoming a Dance Captain with the company. 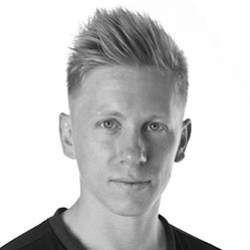 Joseph has taught at various dance institutions in Melbourne and is passionate about driving dancers to apply emotion, musicality and technique to become more dynamic and exciting performers. This year Joseph is excited to be pursuing studies outside of the performance world as well as passing on his experience, wisdom and professionalism onto BDA dancers. Miss Sarah completed her RAD ballet training under Audrey Nicholls OAM FRAD, Martin Rubinstein OAM, Christine Howard (National Character) and Dianne Parrington. She completed her professional dance training at the VCA under Anne Woolliams (Classical Ballet) and Nanette Hassall (Contemporary Dance) prior to dancing professionally in the UK. On retiring she worked at the Benesh Institute in London under Monica Parker, choreologist to Sir Kenneth MacMillan (Royal Ballet). Sarah moved to Zimbabwe before returning to Australia to raise her family and is now training for her Teacher Registration on the RAD Professional Dancers’ Postgraduate Teaching Certificate programme (PDPTC). Jacqui started dancing at Brighton Dance Academy at 5 years old, studying Jazz, Tap, Contemporary and Ballet. Jacqui was first an assistant teacher before transitioning into teaching her own classes in 2017. She is also part of BDA’s Administrative Team. Jacqui has completed SFD Examinations in Tap and all 10 levels in Jazz. Jacqui has also completed teacher training with the Acrobatic Dance Association. Jacqui holds a Bachelor of Biomedical Science from Monash University and is currently studying a Doctor of Physiotherapy at the University of Melbourne. She loves studying the anatomy, physiology and biomechanics of the human body and brings this knowledge to her dance classes. Jacqui’s love of all aspects dance was fostered at BDA and she is excited to have the opportunity to give back to the BDA community. Brighton Dance Academy provides dance classes to all ages and abilities from beginner to pre-professional level. We believe in nurturing students and pride ourselves on the positive culture within our school.